After dispensing harsh penalties to miscreants such as The Cambodia Daily and The Phnom Penh Post for failing to comply with Cambodia tax law Kong Vibol, director general of Cambodia’s General Department of Taxation (GDT), is now in the spotlight for non-compliance in two countries. Accusations of breaching company and tax registration matters in Cambodia and Australia have been leveled at the Cambodia tax boss in an Al Jazeera English 101 EAST investigation, Cambodia’s Election Crackdown. A separate cut of the programme has been produced by Australia’s SBS News focusing solely on the compliance matters. Broadcast last week the 26-minute long documentary reveals discrepancies in Cambodia Ministry of Commerce (MoC) records regarding the ownership of one of Cambodia largest petroleum companies, Bright Victory Mekong Petroleum Company, which at one period in time was owned by relatives of Mr Kong, who previously lived at the same address as he does now. Denying any involvement with the company Cambodia tax boss tells Australian journalist Mary Ann Jolley, that the MoC records contain errors. Incorporated in February 2008 with its business described as “other specialized wholesale”, the company is shown as having registered for tax registration in March 2015. Without specifying who, Mr Kong says “maybe they put it in the system wrong. The company, he says, “has been registered for taxation for a long time”. 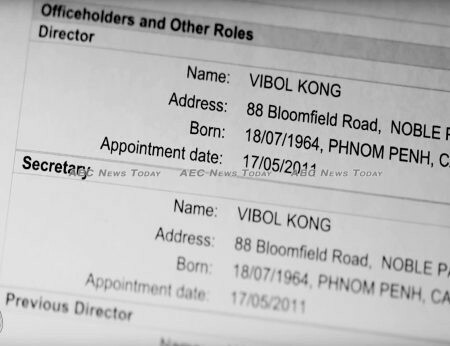 When Ms Jolley points out that the same MoC records show three senior executives of the company — all relatives — residing at Mr Kong’s home address, he denies any association. “I think a long time ago… but I’ve got nothing to do with that”. I think we sold it a long time ago… but I don’t know when they [his family] sold the company”, he says. In 2016 Cambodia’s MoC introduced a new online business registration system requiring all business identities to reregister in order for them to appear in the online system. New business registration numbers and certificates were generated as a result. Early in 2017 it stopped issuing details of how few business enterprises had complied, along with any further ‘final demands’ for compliance. 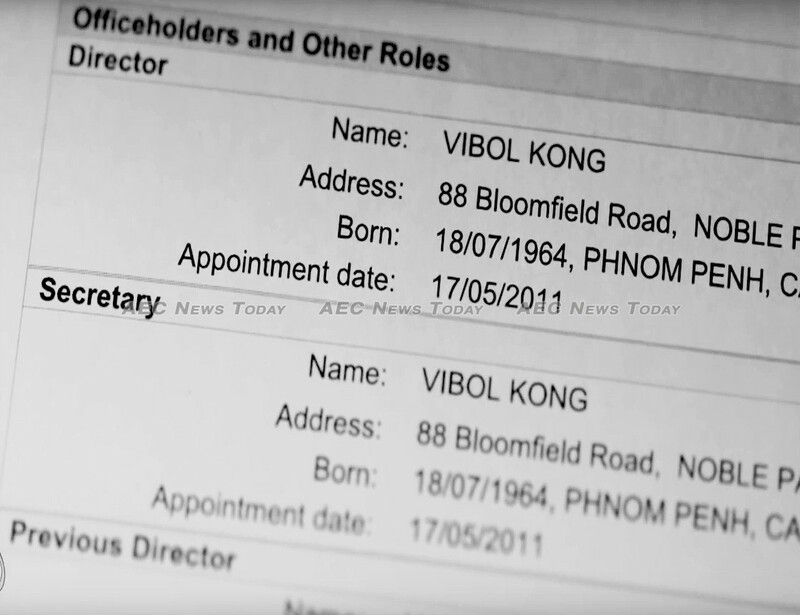 The documentary also alleges that Mr Kong is the sole director of Panhariddh Pty Ltd, a private company registered in the Australia state of Victoria in 2011 with alleged property holdings ‘worth millions of dollars’. Australian corporate law limits sole directorships to Australian residents. Responding to the accusations that he has breached Australian corporate law the Cambodia tax boss tells Ms Jolley in the video above, “I think that business before (sic) I start working in Cambodia (sic) long time ago”. Explaining that he had transferred “that” to another person”, Mr Kong suggests that “maybe the record is not update”. Denying he has anything to do with the company, Mr Kong adds “it closed down a long time ago”. However, the explosive accusations continue. 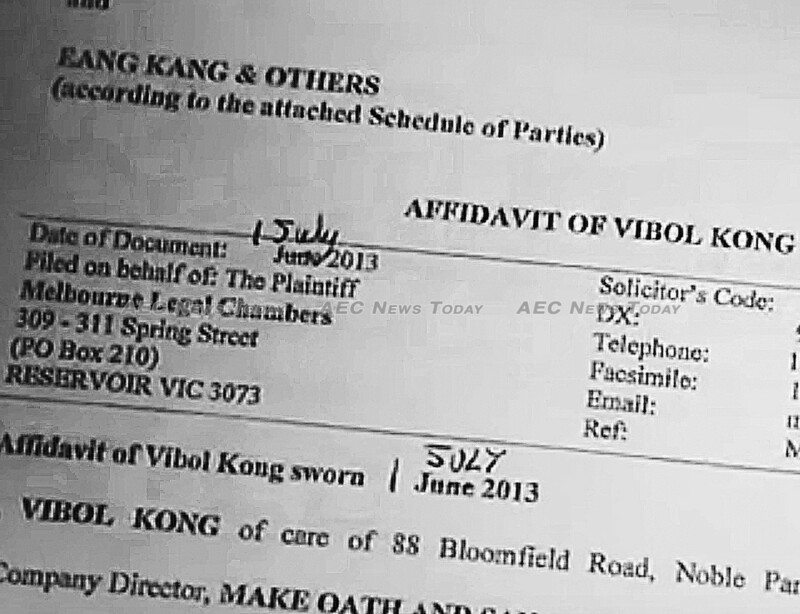 Victoria Supreme Court documents allegedly filed on behalf of Mr Kong in 2013 describe him as resident of a Melbourne address, and an Australian company director. 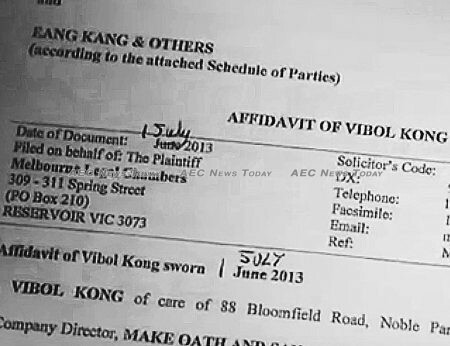 The document further claims that in 2010 he had transferred more than $1.2 million to Australia to purchase property in a deal that went sour: a business deal and transaction that Mr Kong, whose sole known source of income is a reported government salary of about $1,300 per month, tells Ms Jolley he can’t remember. After forcing others to disclose details of their personal and company wealth Mr Kong, when questioned about his says “I don’t want to talk about it”. 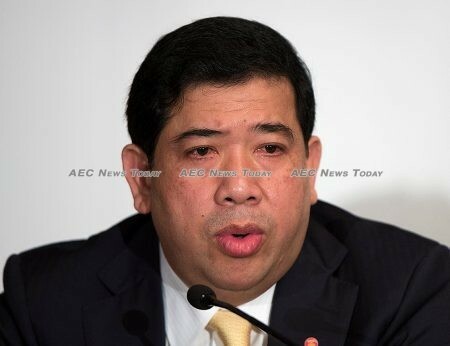 According to Mr Kong’s government profile he has been resident in Cambodia holding the positions of Secretary of State, Ministry of Economy and Finance (MEF), and Vice-Chairman, Council for the Development of Cambodia (CDC) since July 2004, after completing a five year period of employment at accounting firm Coopers & Lybrand, Melbourne. The ASIC spokesperson also reportedly told SBS News that there “may also be consequences in regards to property bought by this company… arising from any additional action we may consider taking. Mr Kong’s public grilling couldn’t come at a worse time for the Government. One of the country’s most senior public servants, Mr Kong has been the very public face of the country’s increasing compliance crack-down. Whether it will have any effect on the ruling party when the nation heads to elect a new national government on July 29 is not known, but other English-language Cambodia publications have so far ignored the accusations. A Bachelor of Business graduate from Swinburne University of Technology (SUT), Melbourne, Mr Kong has been a firm enforcer of the government’s new ‘real regime’ tax system since it came into force in 2016. After initially offering a penalty-free amnesty for business identities that had misfiled or failed to file for the previous five years, the tax boss has been relentless in hunting down wrong-doers. 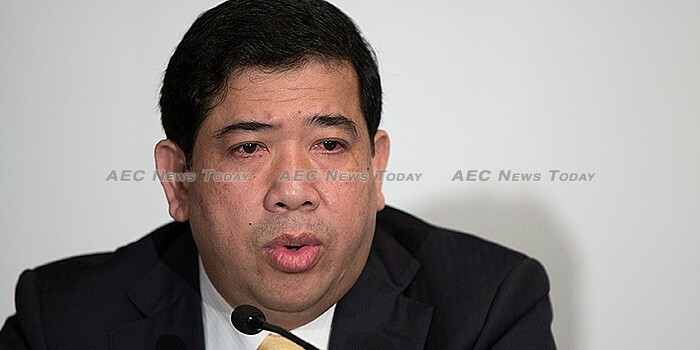 In March GDT deputy director general Heng Soknang told a seminar in Phnom Penh that tax collection revenue had exceeded target for the past six years (See: Cambodia Tax Chief: Comply or be Fined… & Possibly Shunned). Questions emailed to Mr Kong were not responded to prior to publication. This story will be updated if a response is received from Mr Kong. Disclosure: The author has had previous unrelated commercial dealings with the law firm identified in the affidavit above.